Whether you’re building a strip center or an industrial plant, every facility of this type in the state of Texas requires extensive structural design services to ensure the building process and construction phase goes according to plan. Because of this, the engineering experts from Cobalt Engineering and Inspections in Hitchcock, TX, offer an extensive array of structural design and planning services at every level. No matter what phase of the project you’re on, you’ll benefit greatly from their extensive expertise. 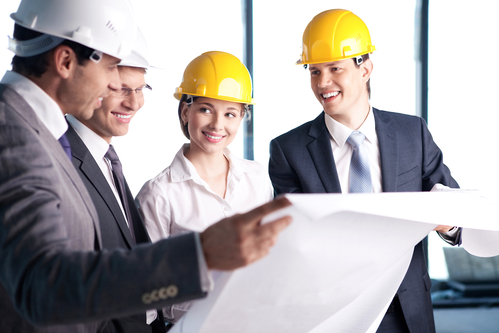 What Types Of Projects Require Structural Design & Engineering? Cobalt Engineering and Inspections offers structural design and engineering services for a wide range of projects, including steel structures and foundations, retaining walls and bulkheads, and new construction projects for both residential and commercial clients. During the design process, their staff works with you every step of the way, providing you with detailed topographical maps and safety assessments to ensure your construction project will meet every code and requirement. How Does The Structural Design Approval Process Work? In most cases, every structure built along the coastal counties in the state of Texas will require local permitting and/or certification through the Texas Department of Insurance. Because of this, in addition to their design and engineering services, Cobalt Engineering and Inspections also specialize in permitting and inspections. The staff can help your team prepare for the approval process. Many structures, such as bridges, dams, or large retaining walls, require annual or semi-annual inspection and the skilled engineers from Cobalt Engineering and Inspection are also equipped to inspect any existing structures, ensuring they meet the proper requirements designated by state and federal law. To learn more about the structural design and engineering process, contact the professionals from Cobalt Engineering and Inspections today by calling (409) 526-9988. They also specialize in windstorm engineering, forensic investigations, and more, so visit them online for a closer look at the services available.